Don’t ever go to the mall on the Sunday before school starts no matter what your kids need for the new year. Not even if your kids will have to go to class barefoot. And not even if Rosh Hashanah starts the week after school begins. You know that Shabbos dress your daughter’s been wearing while rolling around in the grass and dirt the past 3 months? You’ll be thrilled to see her in it again on the High Holidays if it means you didn’t have to go to the mall today. And no matter what you do, don’t go to the mall on that Sunday when it’s 90 degrees out and your mall is outdoors. 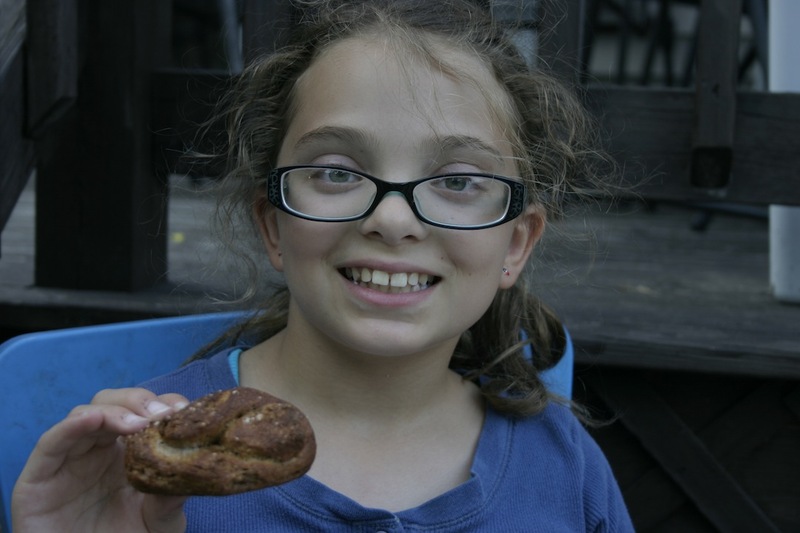 But if you do make that silly mistake, a soft pretzel will make you feel better. No, not the ones from Auntie Anne’s that make the whole mall smell incredible. Eat the ones you make at home in less than 10 minutes. And you know what? They’re healthy enough to eat with dinner. Who needs a dumb dress, anyway?! Dissolve yeast and sugar in warm water and let stand for 10 minutes. Combine flour, salt and butter with a blender and dough hook. Add yeast mixture and knead with blender and then with hands until fully combined. Place in well-oiled bowl, cover with warm towel and place in a warm place (I use the oven with the only the light on). Let sit for 1 hour. Boil the water and baking soda. 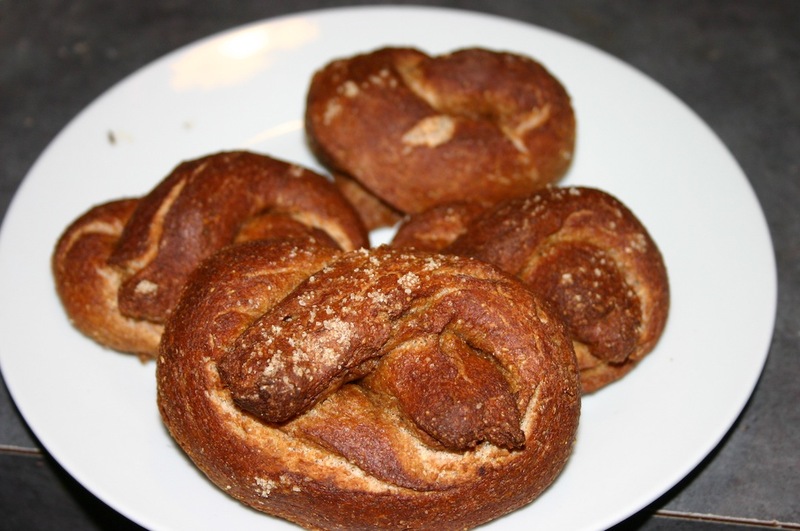 Roll out the dough into twists and then a pretzel shape. Or a flower. Or your initials. Dunk each pretzel in the water for 30 seconds. Place on wax paper and sprinkle salt on. Bake in oven at 450 degrees for 12 minutes.